Eastern Kentucky’s first joint brewery/distillery, Dueling Barrels has made a big splash with visitors since opening in June. With each passing month, more and more experiences have been added to what has already been an experience rich attraction. A host of amazing special events have already been held there for 2018, from the Hatfields and McCoys descendants having a meet, greet & taste for Hatfield McCoy Heritage Days 2018, to a special three-course dinner with Town Branch’s Master Distiller, Mark Coffman. The popular Hoptoberfest also kicked off in 2018, as well as a variety of fun block parties, making Dueling Barrels Brewery & Distillery a place to keep an eye on for 2019. With the addition of the Randolph McCoy statue in 2018, as well as the completion of the Hatfield McCoy historic sites restoration project, there could be further plans in the works for the popular heritage tour for 2019. Pike County Tourism CVB commissioner and McCoy Well property owner Bob Scott has spearheaded many of these improvements, and despite the red tape and hurtles that still exist, hopes to possibly have the McCoy cabins rebuilt on the legendary property, a project he has been working on for several years. While there is no promise that this will be accomplished in 2019, there is still plenty of interesting things that will no doubt become available as the year progresses. The East Kentucky Expo Center has featured a plethora of excellent events in 2018, seeing an increase not only in the frequency of events, but variety as well. Now under new management, there are more exciting things to come for the expo in 2019, with Tri-state MX, City Rockfest and Travis Tritt with the Marshall Tucker band shows scheduled for the opening quarter. If Cirque Musica’s Wonderland is any indicator of the variety that is to come, 2019 should feature a whole slew of unique entertainment experiences at the East Kentucky Expo Center. ACT Presents: Mary Poppins Jr.
Elkhorn City’s Artist Collaborative Theatre is one of Kentucky’s most award-winning community theatres, capturing a bevy of awards over the past several years for awe-inspiring performances and stage design. 2018’s schedule was packed full of standout shows, such as The Crucible, Send Me No Flowers and The Christians just to name a few. The shows currently announced for 2019 include the literary classic Desire Under the Elms and Mary Poppins Jr. Cotton Patch Gospel, (which features a live bluegrass band), along with the hilarious Beverly Hillbillies are also on tap, making 2019 an already exciting year for live theatre in Pike County, Kentucky. Perhaps one of the most exciting new events coming to Pikeville-Pike County in 2019 is Preservation Kentucky Tour 120, May 18-19. The focus of the Preservation Kentucky 120 event is to showcase the diverse architectural styles of Kentucky, with the Pike County Courthouse being featured as a part of a state-wide initiative. A special production of Blood Song: The Story of the Hatfields and the McCoys will be showcased at the courthouse on the May 18th. More information on this exciting event is to be announced, so stay tuned. 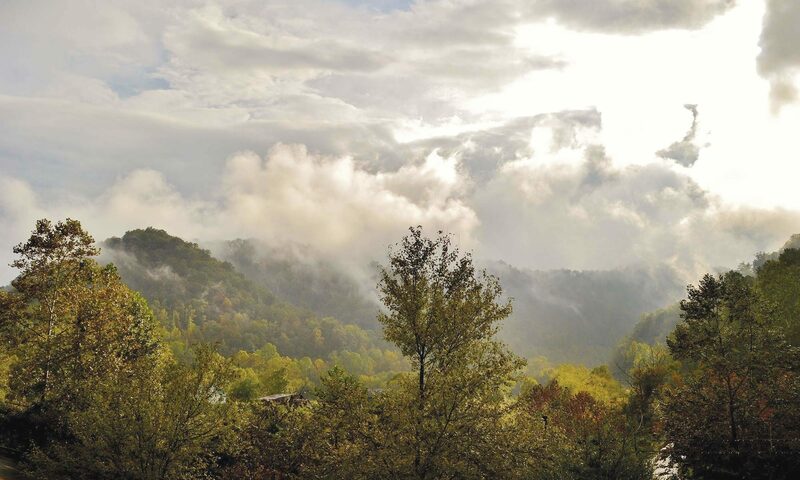 Located in the Appalachian Mountains, Pikeville/Pike County, Kentucky is becoming well known for outdoor adventure and scenic beauty. However, winter is coming fast, and while the snow covered hills of Eastern Kentucky are an attraction of their own, visitors may be more interested in exploring the great indoors of our region.